Many Pagans love to garden, but a lot of people don’t realize you can grow plants and flowers that bloom at night. Cultivating a moon garden is a great way to get in touch with nature, and it provides a beautiful and fragrant backdrop for your moonlight rituals in the summer. If you plant these lovelies close to your house, you can open the windows and take advantage of their aromas as you sleep. There are a number of plants that open at night — mix them in with silver-foliaged day bloomers. Try some of these night bloomers to make your evening garden a magical and mystical place! 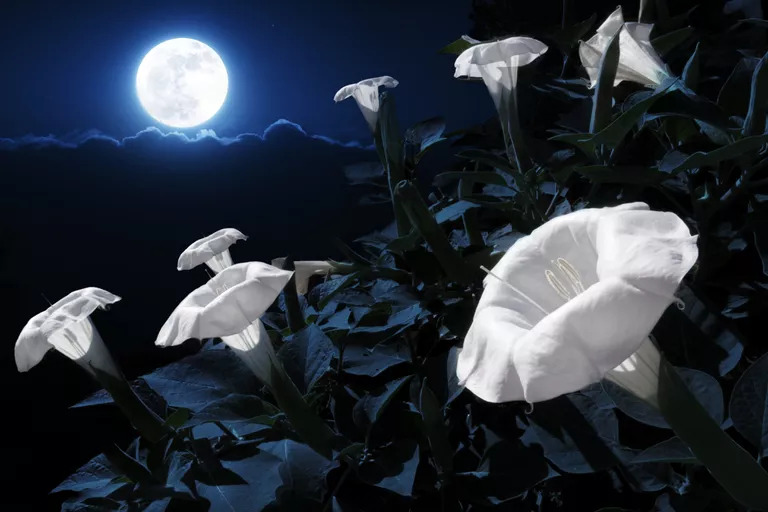 Moonflower: Yes, it should be painfully obvious, but the Moonflower really does bloom at night. 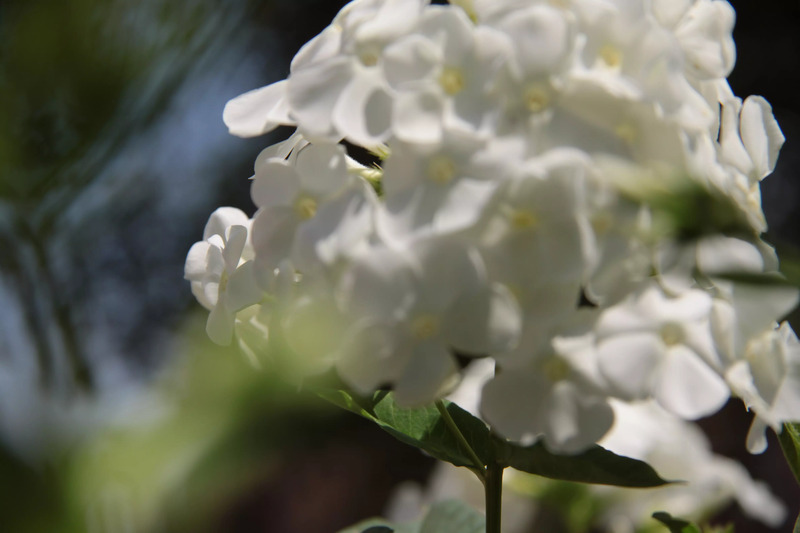 It releases a slightly lemony scent when it opens up, and during the day the white flowers are tightly shut. Some species of this climbing plant, a cousin of the Morning Glory, can get up to eight feet long*. The flowers, when open, are around 5 – 6″ in diameter. Evening Primrose: This perennial spreads rapidly, and can cover a lot of ground for you. The pale pinkish-white flowers open at dusk, and release a sweet aroma. Night Phlox: these pretties open up at dusk, and have a fragrance reminiscent of honey or vanilla. Evening Stock: the tiny purple and pink flowers aren’t very fancy, but they smell divine when they open at night. Angel’s Trumpet: Another vine, this annual spreads like crazy. Its trumpet-shaped, white flowers have a bell-like appearance when open. Night Gladiolus: this plant isn’t actually nocturnal, but that’s when the creamy yellow flowers smell the strongest — it’s a very spicy scent that’s a glorious addition to any night garden. If you’re not interested in a nocturnally-blooming garden, but still love the idea of white and silver to represent the moon and night sky, never fear! There are plenty of silver, white, and even gray plants that bloom during the daytime. Dusty Millers: Know for their silvery-gray, fern-like foliage, Dusty Millers make a lovely edge or border around your garden — and they don’t require a lot of maintenance. 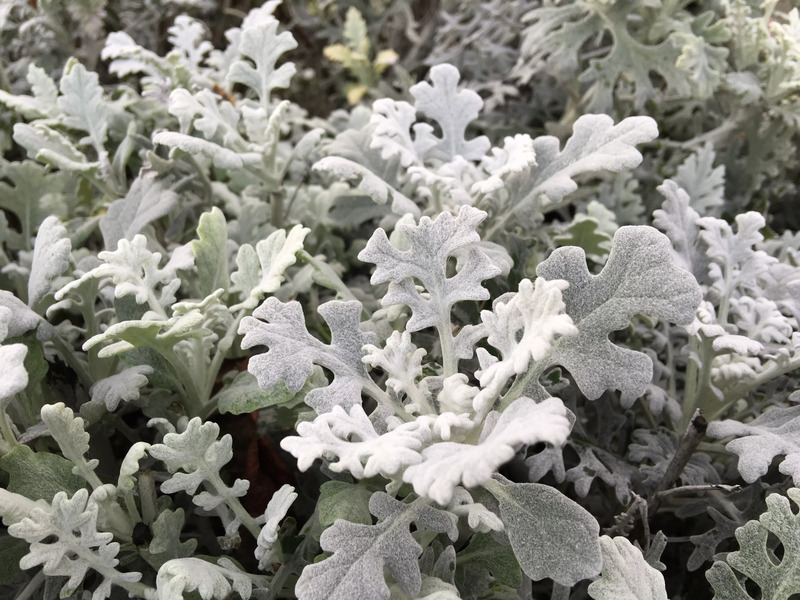 Silver Thyme: The fragrant silver thyme plants have lemon-scented green leaves edged in silver, and the blooms are a pale lavender reminiscent of lilac. Lamb’s Ears: These rapidly spreading ornamentals are soft and fuzzy, just like a lamb’s ear, and they’re a pale greenish-silver. Watch out, though — if you don’t keep them contained, they’ll take over your whole yard. Mugwort (Artemesia): This silvery-green herb smells amazing, and has a number of magical uses. Silver Sage: Unlike other strains of sage, silver sage has leaves that are intensely silver and fuzzy, arranged in a rosette. White vegetables such as Alba eggplants or Baby Boo or Lumina pumpkins are a great addition to your garden, and will be perfect for fall decorations! There are numerous herbs available to plant that have lunar connections. Camphor: Use camphor for protection or purification — it’s known to get rid of negative energies. 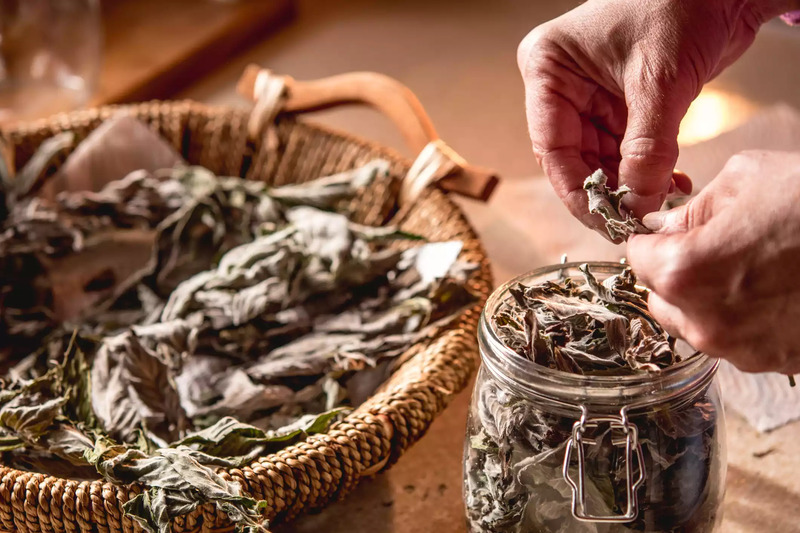 You can also use it to cleanse crystals and ritual tools; consider adding into your practice to clear out energy in a newly inhabited space or ritual area. Eucalyptus: Associated with health and healing, as well as protection, fragrant Eucalyptus is a great addition to your garden if you live in a zone that will support it. Gardenia: This lovely and fragrant flower is connected to peace and harmony, repelling strife, and protection from outside influences. Plant it around the perimeter of your yard, or near your doors, to keep negative people away. 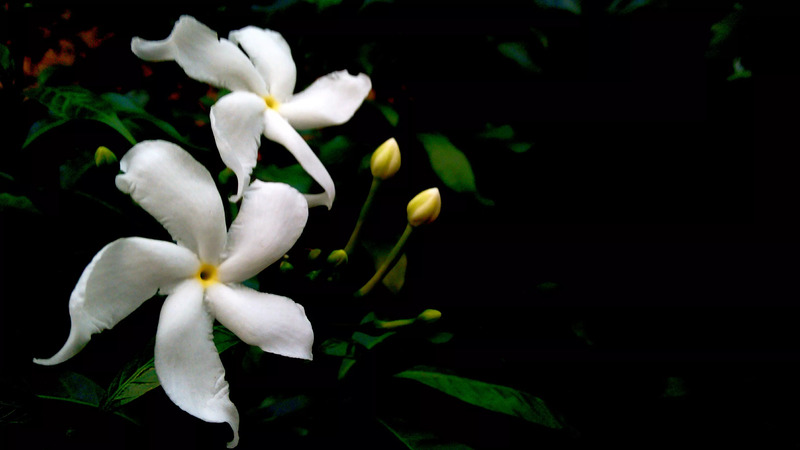 Jasmine: The sensuous scent of Jasmine is popular among perfumers, because it’s well known as a flower of attraction. This plant’s heady fragrance evokes passion, sensuality, and love. Moonwort: Associated with dreams and intuition, moonwort is useful in any spellwork involving lunar connections. Sandalwood: This fragrant wood is associated with healing and purification, as well as business and protection magic; it’s found in religious ceremonies and rituals all over the world. Willow: Planted near your home, Willow will help ward away danger, particularly the type that stems from natural disaster such as flooding or storms. They offer protection, and are often found near cemeteries. Water Lily: These lovelies often used as ornamentals in ponds are associated with the clarity of desire and direction, as well as the creative process. If you’re an artist or maker, keep some water lilies around. When you have plants that have blossomed under the powerful energy of a full moon, the possibilities are just about endless. Harvest the flowers and dry them to use in talismans or charms. Use them to dress a Moon Candle or as part of a purification bath. Include them in incense blends to help enhance your intuition and wisdom. *Note: Be sure to provide a trellis or other support for climbers like the Moonflower. If they don’t have a stable surface to hang onto, they’re less likely to fully bloom.